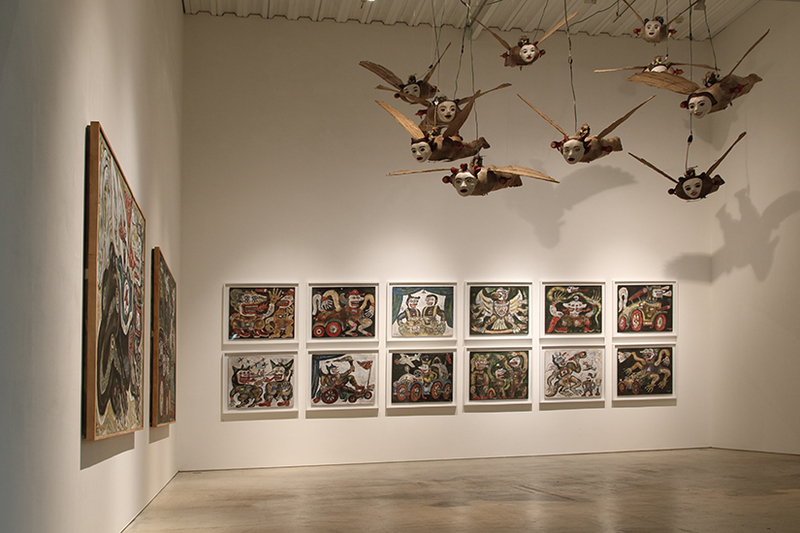 One of Indonesia’s foremost contemporary artists, Heri Dono’s prestigious career over the past three decades has won widespread international acclaim. “Voyage Trokomod”, his large-scale installation depicting a hybrid of the Trojan Horse and Indonesia’s endangered komodo dragon species in the form of a wheeled warship, occupied the Indonesian Pavilion as one of the highlights of the 2015 Venice Biennale. He has participated in hundreds of exhibitions the world over to date, and his accolades include the　Prince Claus Fund Award (1998), the Unesco Prize (2000) and Anugerah Adhikarya Rupa (Arts Award) from the Indonesian Government (2014). 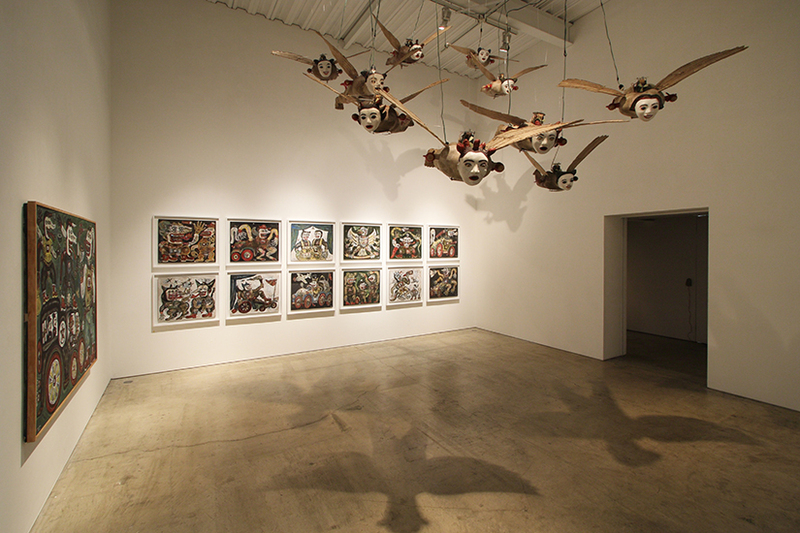 “HERIDONOLOGY” refers to the influences and themes that construct Heri Dono’s unique visual language and narratives which manifest in his paintings, kinetic sculptures, installations and performances. 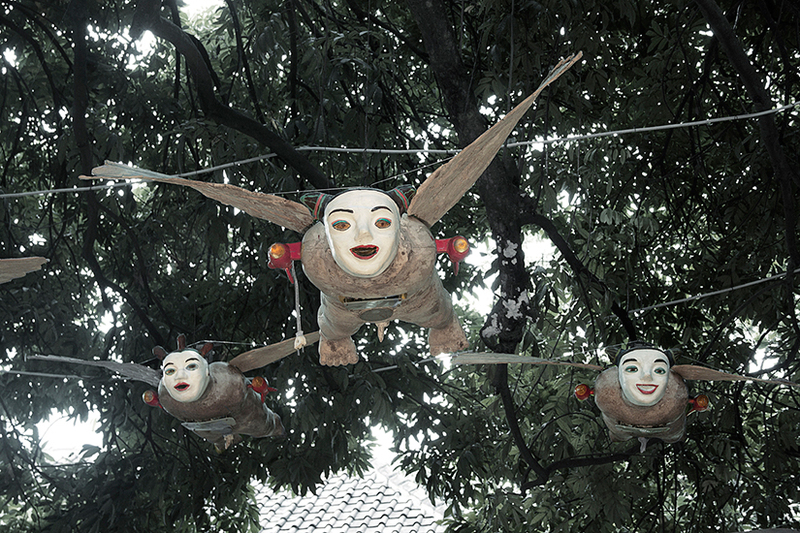 Heri Dono is known for incorporating elements of traditional Indonesian art forms into his work, including aesthetic conventions of wayang kulit shadow puppetry, having studied under a professional wayang master in order to fuse the idioms of indigenous storytelling with contemporary methods of expression. 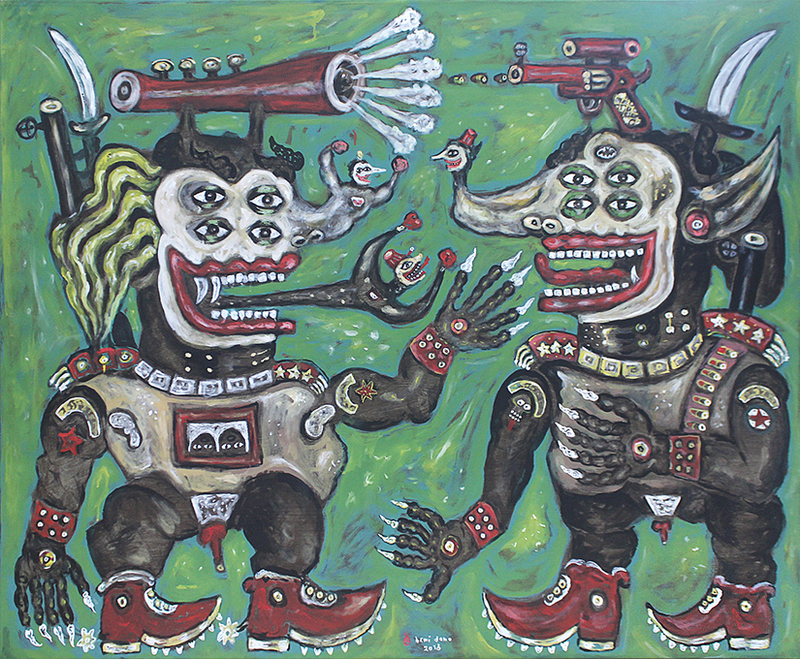 The vibrant aesthetics and popular appeal of Heri Dono’s practice is synchronous with its engagement with political concerns: born in Jakarta in 1960, the artist’s personal experience of the former Suharto regime profoundly influenced his works’ underlying societal critique. 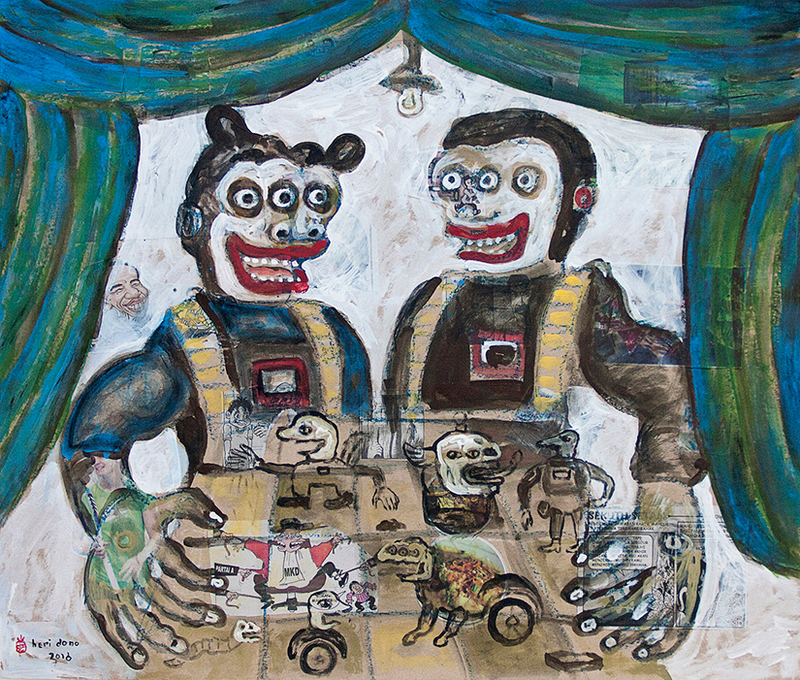 In this sense, the fantastical monsters, beasts and other characters that populate his compositions may be seen as subversive analogies of figures of power. Military interventions, environmental destruction, and official corruption: all these and more feature in the absurdist landscapes of his darkly humorous allegories. 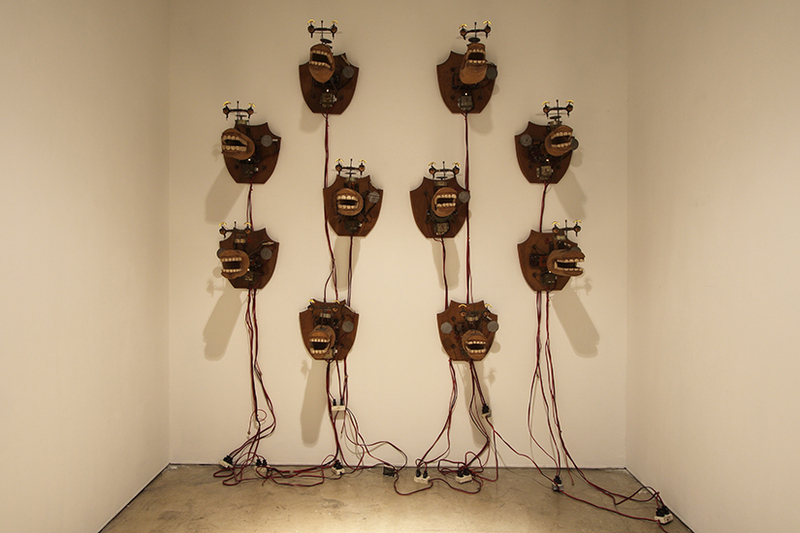 Heri Dono’s long-standing relationship with Japanese art audiences began in 1992, when he participated in the group show “New Art from Southeast Asia” at Tokyo Metropolitan Art Space. The exhibition later travelled to Fukuoka, Hiroshima, and Osaka. Since then he has participated in numerous exhibitions throughout the country. 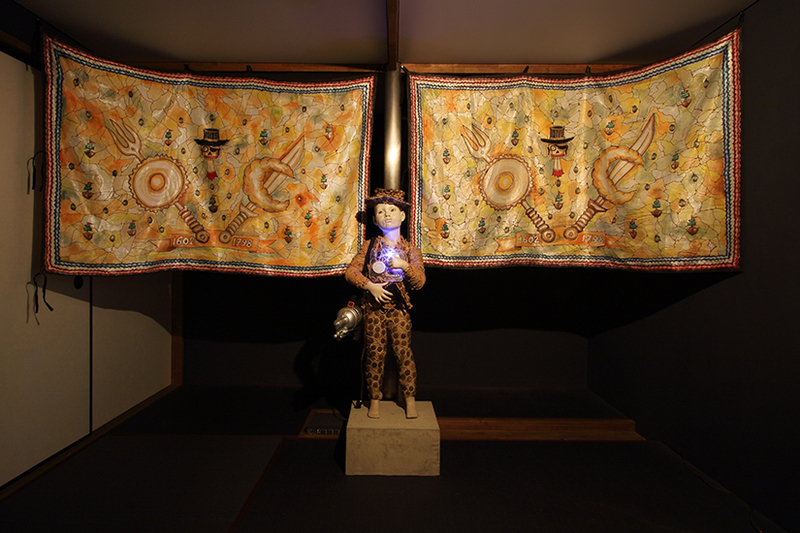 This exhibition at Mizuma Art Gallery will be Heri Dono’s third solo show in Japan, comprising paintings and three major sculptural pieces. We invite you to explore the science of Heridonology, in which Javanese tradition coexists with contemporary political satire, and which uses humour and storytelling to focus our attention on the underlying questions deserving humanity’s reflection.